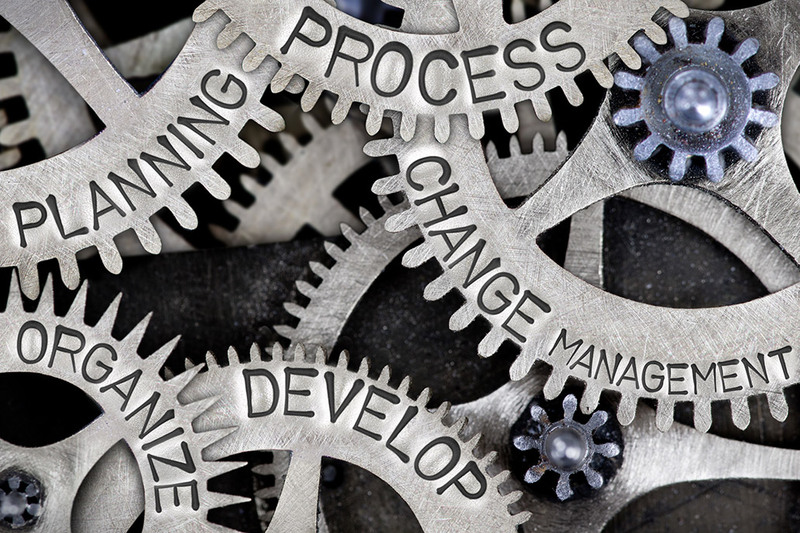 We recently rebooted Information Technology Governance at Boise State. ITGC is responsible for major information technology decisions and is the top level of Boise State’s Information Technology governance. ITGC balances the need to constantly improve and deliver technology with University strategy and available resources. ITGC is also responsible for policies that govern IT planning and prioritization. ITPC is responsible for identifying large development projects that address campus issues. ITPC is also responsible for prioritizing the list of projects for ITGC to review, revise, and ultimately, approve. The co-chairs of ITPC serve as the bridge between ITPC and ITGC. In December 2018, the IT Governance Council approved ITPC’s list of Large Development Projects, which provides the University a road map of IT projects through at least the next year. The vice presidents who comprise the IT Governance Council were impressed that the ITPC members were able to work together to prioritize needs across the University. Mark Wheeler, Dean of Extended Studies and Brian Bolt, Deputy Chief Information Officer were acknowledged for their work leading ITPC and creating a culture of collaboration among committee members. There was little arguing in the ITPC group work sessions, and participants were remarkably objective when evaluating needs in order to develop a comprehensive plan. 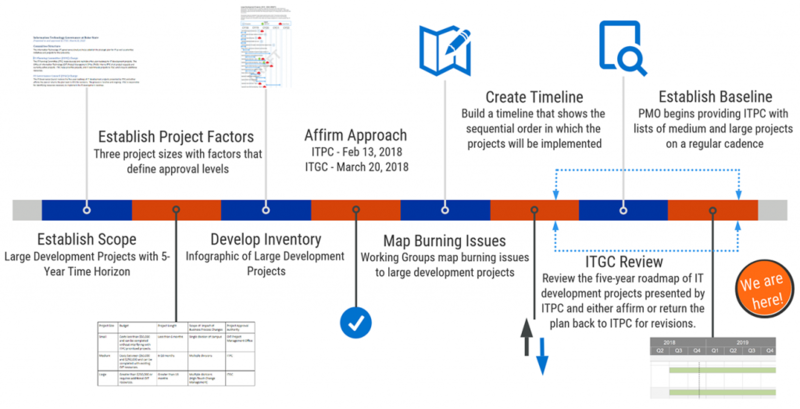 Now that the list of Major Development Projects has been approved, ITPC will use the working groups that defined and prioritized the list of projects to proactively discuss emerging functional needs and technical solutions, examine timelines and propose modifications to the list of Large Development Projects, and recommend changes to ITGC. Our scope for Large Development Projects is projects with a 5-year time horizon. We established three project sizes (Small, Medium, Large) with factors that define approval levels, including budget, project length, and scope of impact and change. Inventory projects requested of the Office of Information Technology that meet criteria for Large Development Projects. Obtain approval to prioritize Large Development Projects from the IT Governance Council and IT Planning Committee. Working groups map burning issues to Large Development Projects. Build a timeline displaying sequential order for projects to be implemented. The IT Governance Council reviews our five-year roadmap of IT development projects as presented by the IT Planning Committee, and either affirms or returns the plan back to the IT Planning Committee for revisions. Our Project Management Office provides the IT Planning Committee with lists of medium and large projects on a regular cadence. For additional information about the Office of Information Technology’s Large Develop Project Identification and Planning Process, contact Brian Bolt, Deputy CIO, at brianbolt@boisestate.edu.